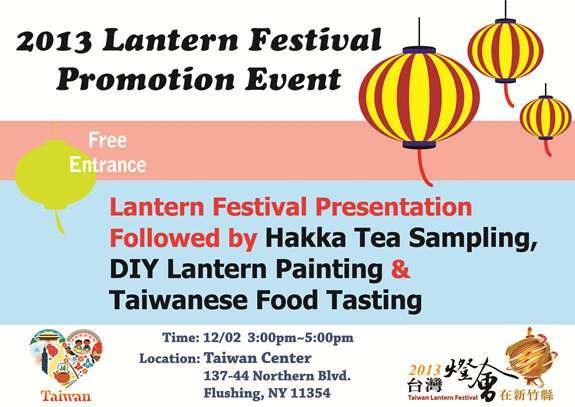 2013 Lantern Festival Promotion Event! Thanks to active promotion by the Taiwan Tourism Bureau in recent years, the Taiwan Lantern Festival has earned a place among the world’s premier festival events. The 2012 Taiwan Lantern Festival was extensively covered by print and electronic media channels in Japan, Korea, the United States, Southeast Asia, and Europe, further raising the reputation and visibility of Taiwan on the global stage and helping to attract a record number of international visitors (29,219) to the festival. Recommended by the U.S. Discovery Channel as one the world’s best festival activities, the Taiwan Lantern Festival broke new records in 2012 in terms of length of the festival period and number of visitors. In 2013, the Taiwan Lantern Festival will be held in Hsinchu County. The Taiwan Tourism Bureau warmly invites you to join in the fun at that time! For more info, please visit www.taiwan.net.tw. No user commented in " 2013 Lantern Festival Promotion Event! "